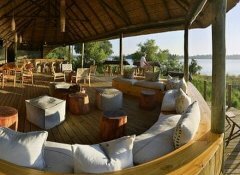 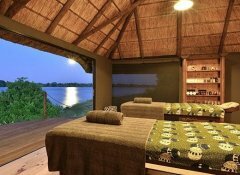 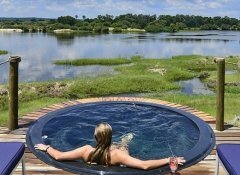 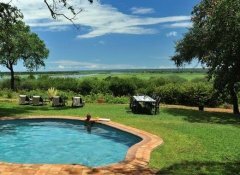 Imbabala Zambezi Safari Lodge is situated on a riverine fringe of the mighty Zambezi River in Zimbabwe, 70 km northwest of Victoria Falls. 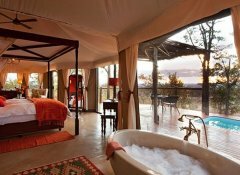 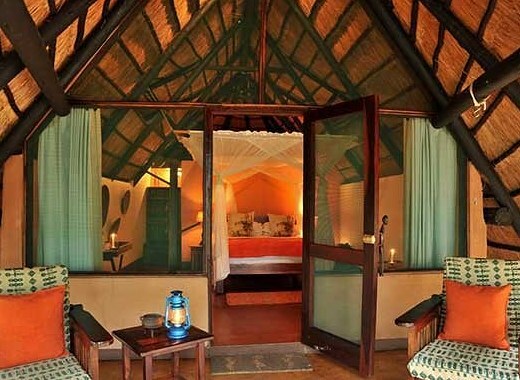 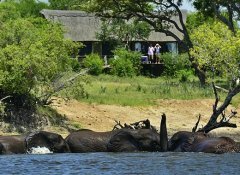 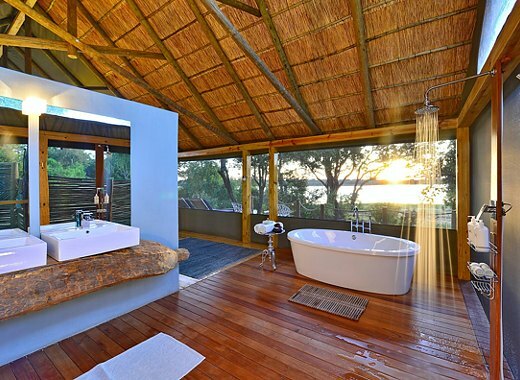 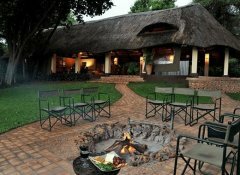 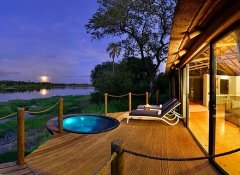 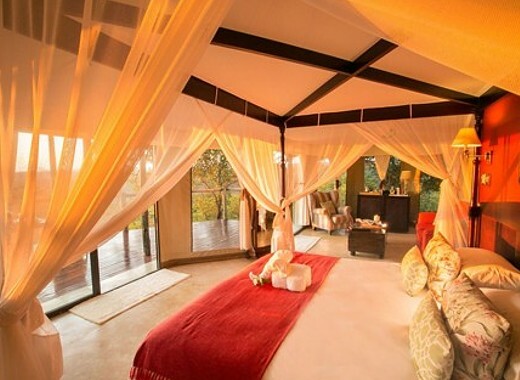 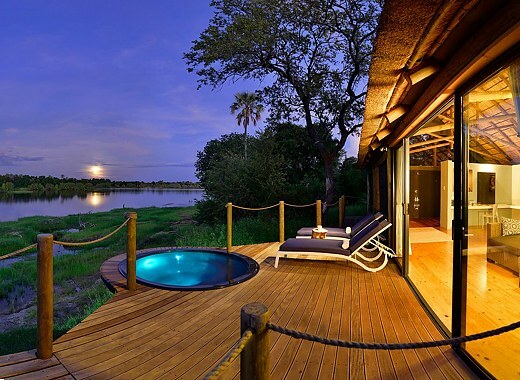 We offer 9 exclusive stone and thatch lodges with en-suite facilities. 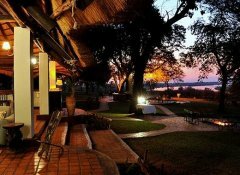 Each unit is beautifully positioned with spacious verandas opening onto sweeping views of the Zambezi River. Enjoy some of the most amazing game viewing and bird watching in the region. 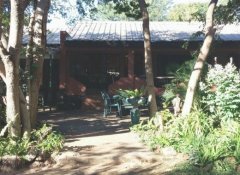 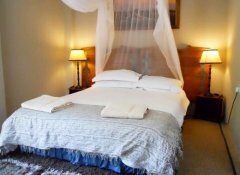 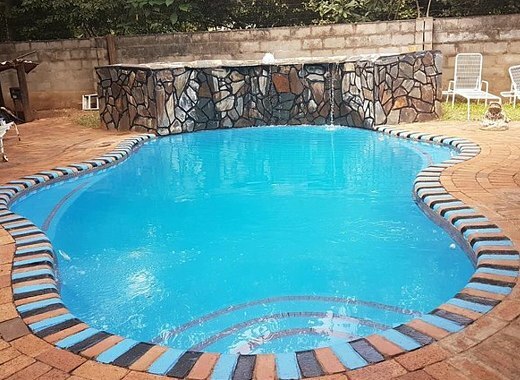 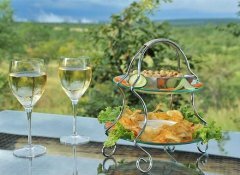 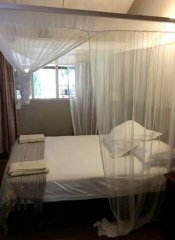 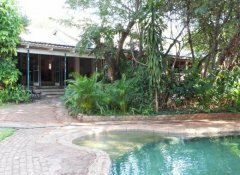 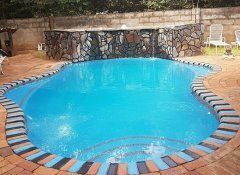 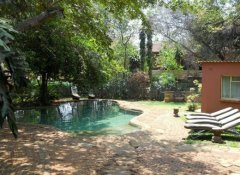 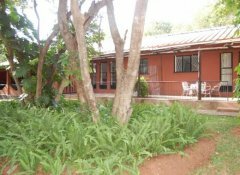 Welcome to Lorries Bed and Breakfast conveniently located a short walk from the mighty Victoria Falls and close to a golf course. 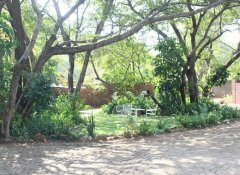 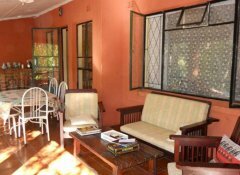 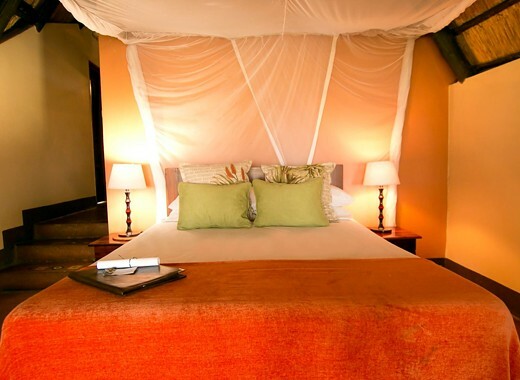 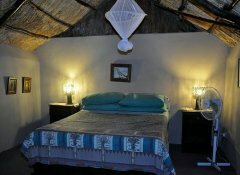 All well appointed, air-conditioned rooms are en-suite and have verandas set in our quiet tropical garden. 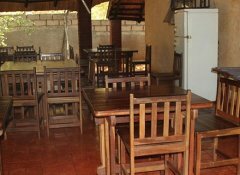 Facilities include Wi-Fi and a bar. Relax next to the swimming pool after an exciting day of sightseeing. 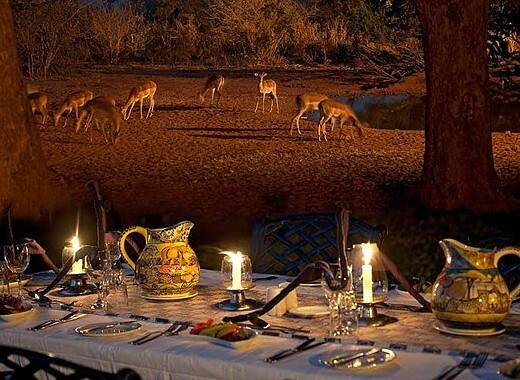 Breakfast is served with dinner on request. 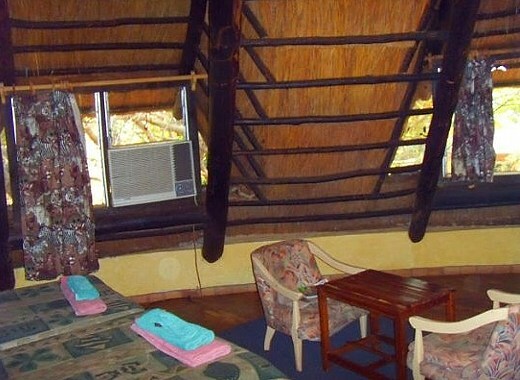 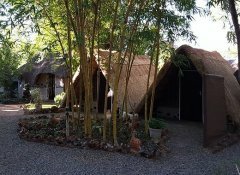 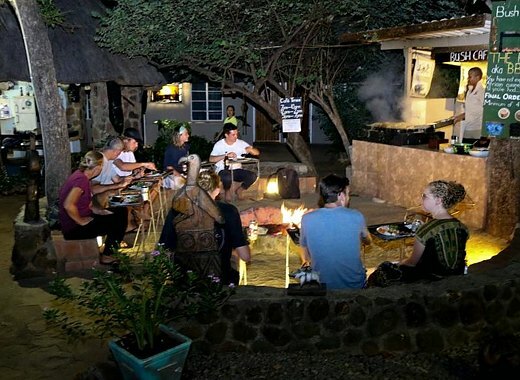 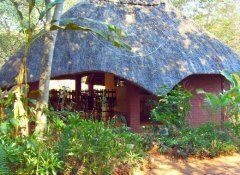 Our air-conditioned Mosi-Ua-Tunya Lodge is situated in the tranquil surrounds of suburban Victoria Falls and offers excellent bed and breakfast accommodation as well as self-catering in spacious en-suite rooms with TV. 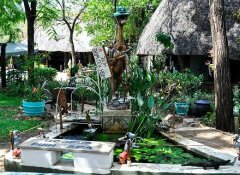 Enjoy our pool, the Lapa and free Wi-Fi. 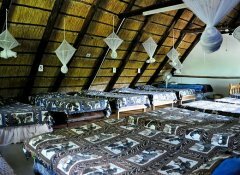 We gladly arrange activities, shuttling as well as tours and provide the ideal setting for weddings, other special occasions or events. 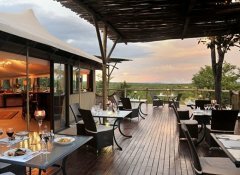 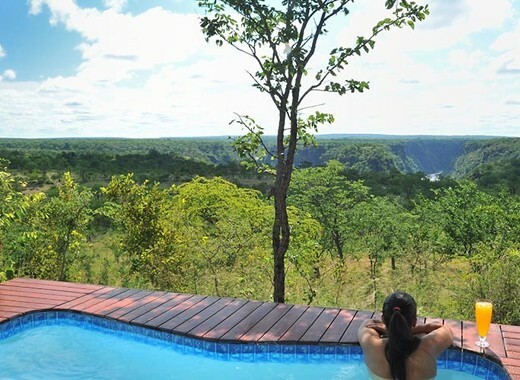 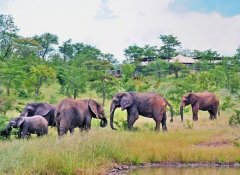 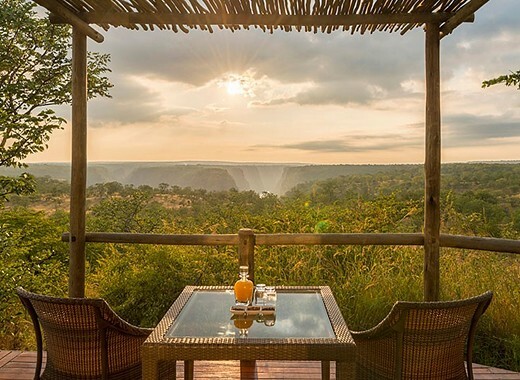 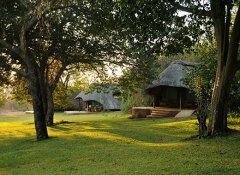 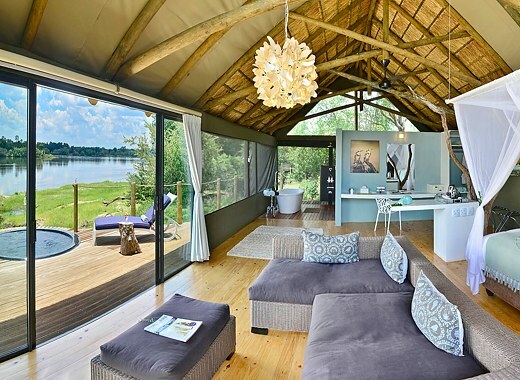 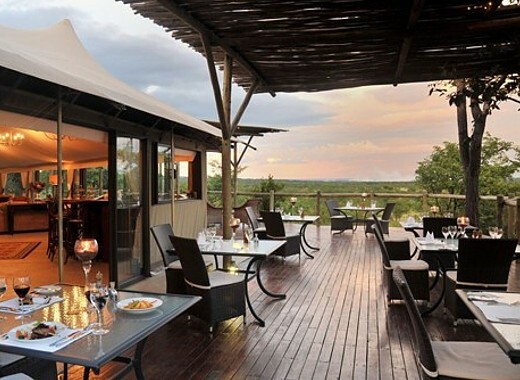 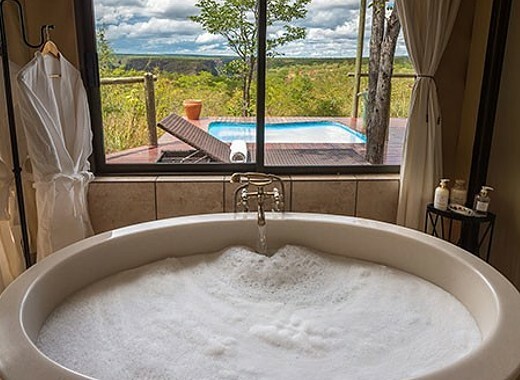 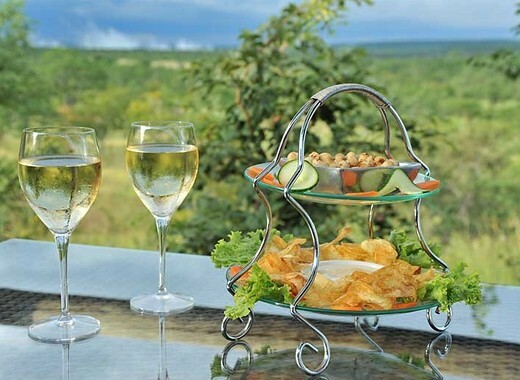 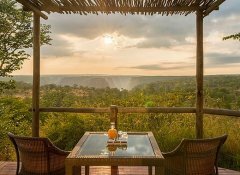 Situated on a private concession within the Victoria Falls National Park and bounded by the Masuwe River and the Zambezi gorges, The Elephant Camp has breathtaking views of the Victoria Falls` spray and the impressive gorges. 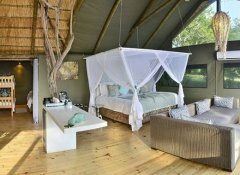 Our lodge under canvas offers fine dining and exclusive suite accommodation in 12 luxury air-conditioned tents, each with a plunge pool, a lounge area and a private viewing deck. 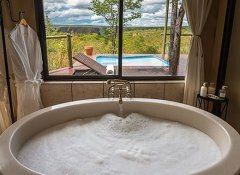 Exceptional game viewing makes our luxury Victoria Falls River Lodge on the Zambezi River banks ideal for exploring Victoria Falls. 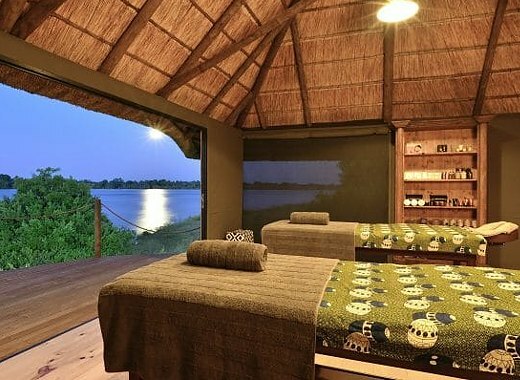 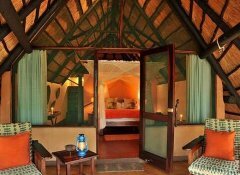 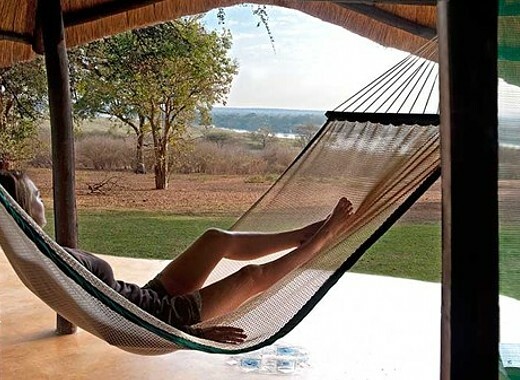 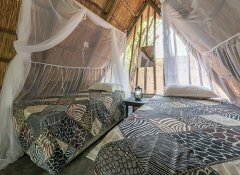 Built on raised decks with a thatched roof, each of our 13 luxurious "tents" offers a plunge pool with viewing deck, a large bed, a sitting area, indoor & outdoor showers. Enjoy our renowned fine dining and many activities; relax by the pool, at the Spa or in our riverside bar. 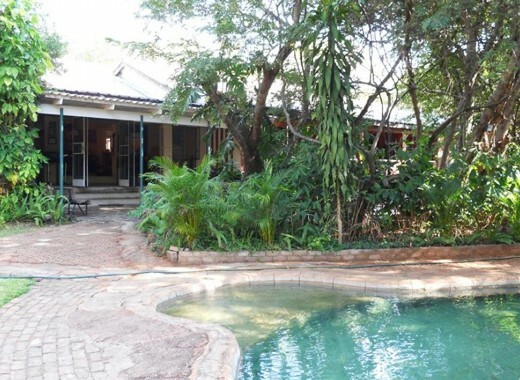 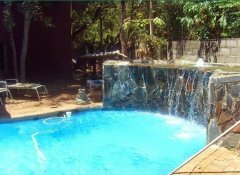 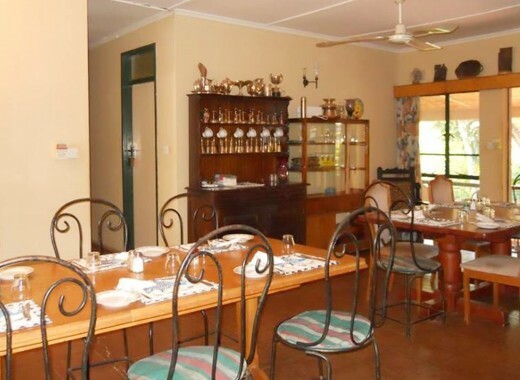 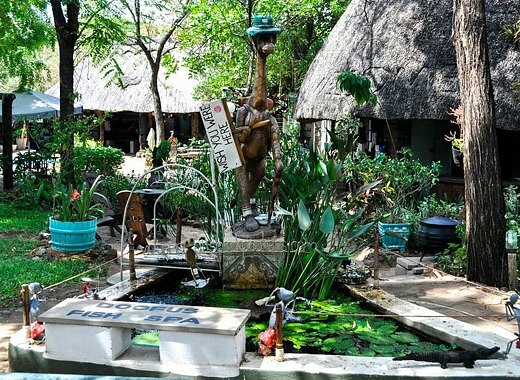 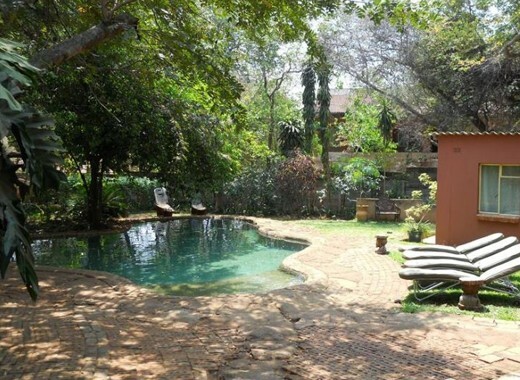 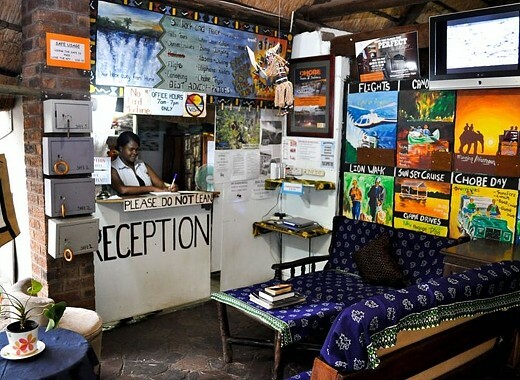 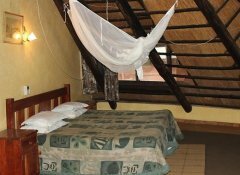 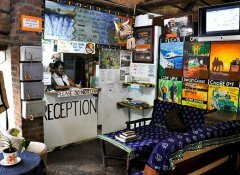 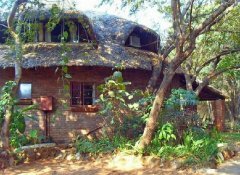 Victoria Falls Backpackers is situated next to the national park in Victoria Falls, 2.5km from the town centre. 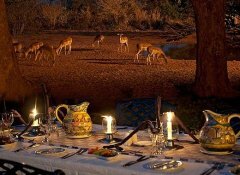 Capture the exotic flair of Zimbabwean culture with friendly service and affordable comfort in our en-suite units, dorms, safari tents and on the camping ground. 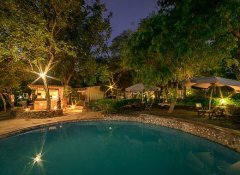 Accommodation is scattered across a luscious garden with the pool and a fireplace as the centrepiece. 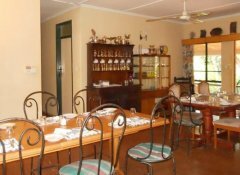 Enjoy traditional bush cafe meals.